Showbox, one of the most-installed apps for Android devices, features a huge library of movies and TV shows as well as streaming ability. Although the official Showbox version is only available for Android, some users are thinking if it can be run on computer for watching favorite movies on a bigger screen. In this article, we will list some easy tactics to download Showbox for Mac computers/laptops with the purpose of playing and streaming free HD movies and TV shows on Mac OS X (MacOS High Sierra included). VideoProc - Download and save any 720P/1080P HD, 4K/8K/3D movies, TV shows, cartoons, music videos from YouTube, Vimeo, Dailymotion, Metacafe, Vevo, MTV and other 300+ sites in a few clicks. 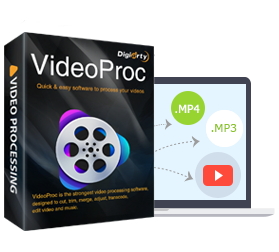 It also offers No.1 fast speed to convert downloaded videos to MOV, M4V, AVI, WMV, MPEG etc, on Mac for playback on iPhone, iPad, Apple TV, Android and Windows devices. Android emulator, a virtual mobile device that can open, run and test Android applications on computer, is the essential program to handle Showbox for Mac download task. Depending on different requirements, you can opt for installing Android emulator for desktop or for browsers. The most appreciated Android Emulators for Mac are Bluestacks and Genymotion. Bluestacks can be run on Mac without third-party virtual desktop app and build in a search engine enabling you to find and install Showbox apk file within it, while Genymotion needs an account and Oracle Virtual Box for installation. Although Bluestacks is seemingly much easier and convenient to use, some voices announce that Genymotion is quite faster than the former. Here, we will show tutorials of Showbox for Mac download with the two programs. You can choose anyone you like. 1. Download Bluestacks AppPlayer for your Mac computer which is compatible with Mac OS X mavericks or later. 2. Open it after completing installation and search for Showbox with search engine. 3. Click to download and install the found Showbox apk file on Mac. 1. Create an account to download Genymotion and install Mac version. 2. Download and install Oracle Virtual Box. 3. Launch Genymotion. Hit "Add" to choose a device (for example Galaxy S6) as virtual device. Double-click the device to run it. 4. Download Showbox apk file on Mac and drag it to the virtual device. Then, it will be automatically installed. If you are unwilling to install desktop software, tiny extensions specially designed for browsers can also help you download and run Showbox on Mac. ARC Welder is a high-rated plug-in for Chrome which allows you to test and run any Android apps on computer. Next, let's learn how to download Showbox for Mac with this Chrome extension. 1. If you have gotten Google Chrome browser on your Mac, open it and search ARC Welder from chrome web store. 2. Click "ADD TO CHROME" button to download and install this tool to your browser. 3. Open a new tab. Hit Apps button to find and open installed ARC Welder. It will require you to select a directory for data storing. Click Choose to set one. 4. Download Showbox apk file. Then, hit "Add your APK" button in ARC Welder to import Showbox app. 5. Once Showbox is loaded, a configuration interface will be given. Customize the settings and click Launch App button. Now, you can browse, watch and streaming desired movies, TV shows on Mac using Showbox. Need A Showbox Alternative to Get HD Movies/TV Shows on Mac? Showbox is indeed an awesome solution to watch and stream movies/TV shows on Mac but a lot of complaints figure out that Showbox not working, loading, updating errors are frequently occurred. Sometime, Showbox faces blocked and down trouble caused by security or copyright issue. Therefore, a Showbox alternative is quite necessary for movie download in a stable way. VideoProc, a versatile HD / 4K movie downloader and converter for Mac OS (Mojave), has the powerful ability to download movies, TV shows, cartoons/animes, music videos and more video contents in 720P/1080P HD, 4K/8K/3D (if there are sources) from 1000+ sites (YouTube, Vimeo, Dailymotion, Metacafe etc.) to MP4, WebM, FLV, 3GP with lossless quality. It also enables you to convert movies to mainstream video formats, like MOV, M4V, AVI, WMV, and fashionable devices (iPhone, iPad, Android and Windows gadgets) at an extreme fast speed. It also arrives with a Windows version available to download and convert movies/videos on Windows (10) PC. VideoProc - A versatile HD / 4K movie downloader and converter for Mac and Windows OS. It can download movies, TV shows, cartoons, animes, music videos, edit video files, record YouTube live videos, convert video audio DVD formats, and can do more. If you are a mobile user, please click here. May Watt is a member of Digiarty. She offers a bunch of tips of how to handle multimedia files (DVD, video files, music etc.) and keeps her focus on tech news about Apple, Google, GoPro, Drone and more. This page gathers today's most popular top 10 free movie apps for Windows 10. Select and install the most easy-to-use Windows 10 movie app for downloading and watching free hit 4K/HD 1080p/720p movies. Movie Box is a great app for free streaming/downloading movies, TV shows and music videos. Here, you can find a helpful guide to download and install Movie Box on iPhone powered by iOS 12 / iOS 11, even without jailbreaking. Is MovieBox App Still Available to Download on iOS 12/11 etc.? Can you still download MovieBox app on iOS 12/11 etc.? How to download MovieBox on your iOS devices? Get answers here.